Snuggle up to your Sweetheart -- Happy Valentine's Day! 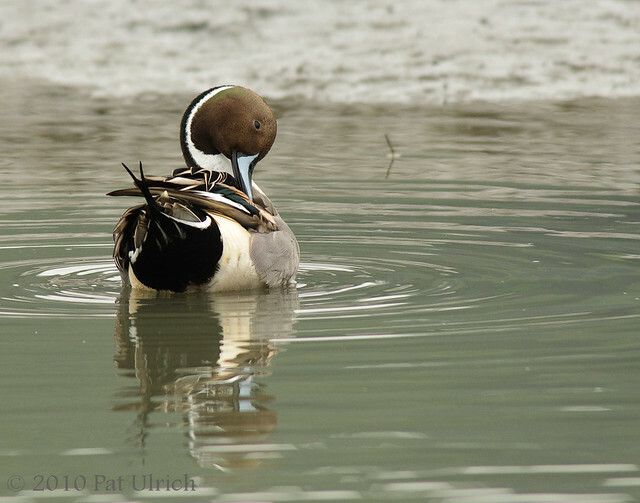 I figured the most appropriate thing to post for today is a pair of pintails. 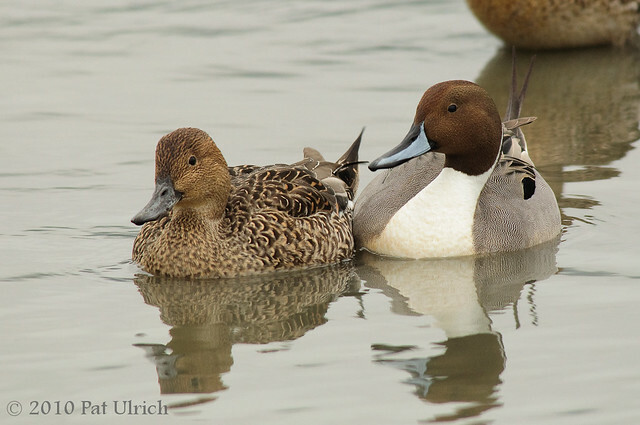 Here's a male and female snuggling up together on the water. Hope you all have a fun Valentine's! This lucky duck has her choice of suitors, since all the drakes are lining up to impress her! 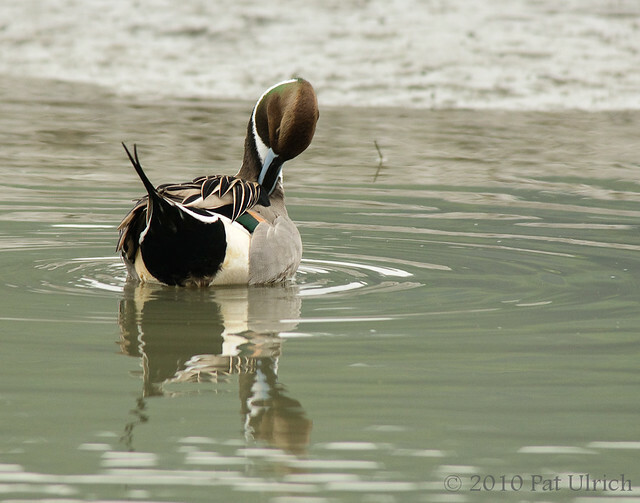 I love to photograph northern pintails, and I think the drake's can look especially stunning when they show off those patterns as they preen. So in honor of Valentine's Day coming up on Monday, here's a few shots of this handsome fella getting himself ready to impress the ladies. 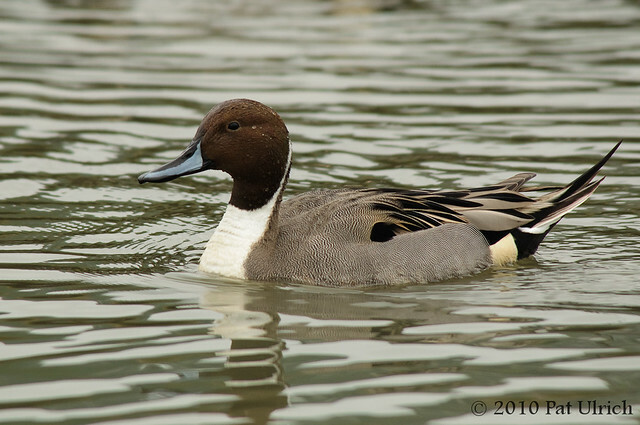 One of my favorite duck species to photograph, I think that northern pintails are just so beautiful. 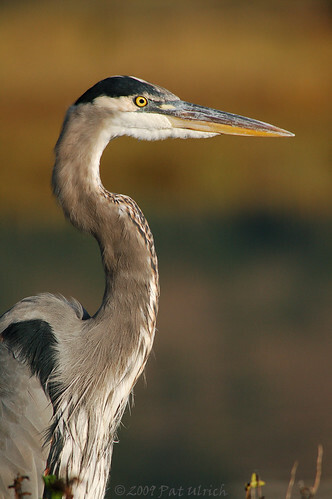 They have wonderful lines to their slender shape, and such great patterns in their plumage. Here's a shot of a drake swimming across the flooded marsh channel at low tide in Bothin Marsh. 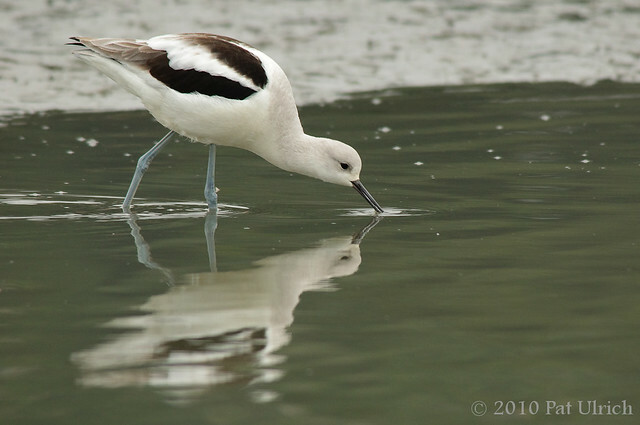 American avocets have to be among the most beautiful shorebirds anywhere in the world. They have a really elegant form, and their summer color is just awesome. But even in winter, they still stand out. I took these shots on a heavily overcast day, which made for really drab lighting, but the conditions were pretty nice for reflections in the shallow pool of water covering the marsh at low-tide. I'm on the fence about this third image from the series. I like the pose, the water drop on the bill, the impressionistic reflection, and the head came out pretty sharp even under these less than ideal conditions. However, I'm not crazy about where the line between the water and mud is in the frame, since it bisects the body, and I find the motion-blurred leg to be a distraction. So for those reasons it's here at the bottom of the post. 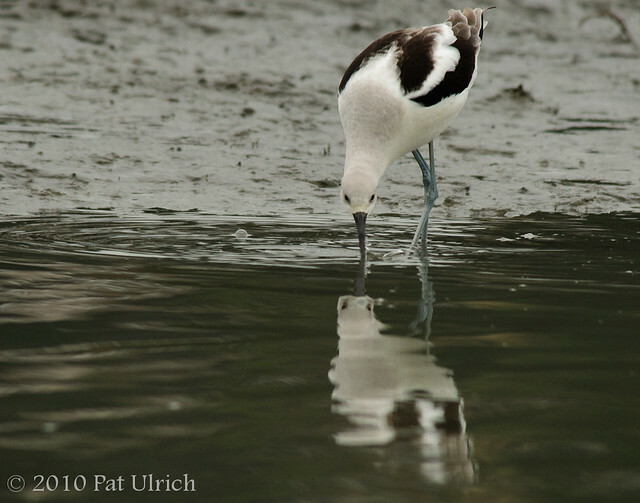 Submitted to World Bird Wednesday -- Follow the link to check out this week's submissions! 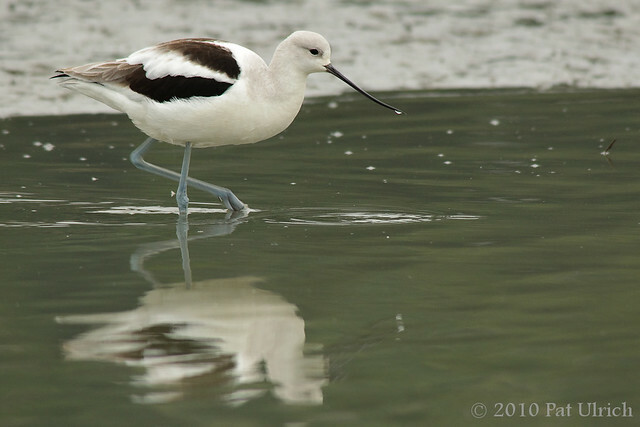 Under very heavy fog on a December morning, I had the pleasure of watching a group of avocets feed on the newly exposed mudflats in Bothin Marsh in Marin County. I enjoy shooting in overcast light, but on this day it was almost too dreary, even for me. But when I have a chance to spend time with elegant birds like these, I just can't help myself and I continued to watch and fire off frames. While I wish this one came out just a bit sharper (challenging to do in bad light since they feed by swinging their bills side to side through the mud), I really liked the reflection. 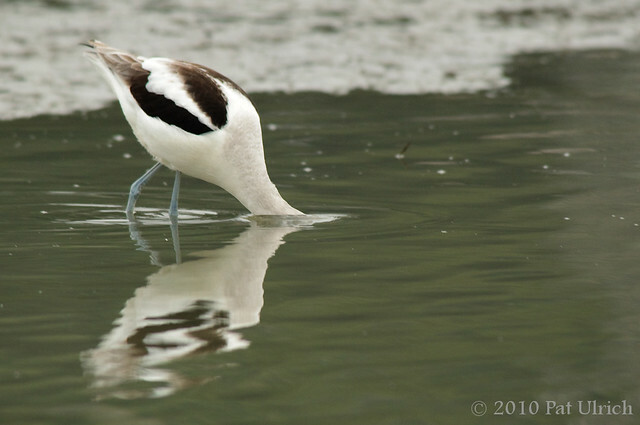 The distoration from the disturbed water almost makes it look like a second bird is angrily looking back at the first. As an aside, this trail can be a fun place to shoot, since its a really heavily used section of the Bay Trail. That means that the birds are used to people passing by so they're fairly willing to stay close, but also, its fun to see how people react to seeing someone lying in the dirt along the trail photographing birds. 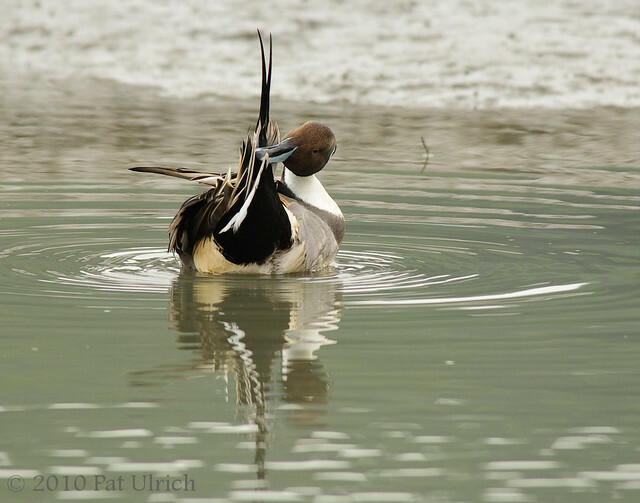 During my time with the avocets and pintails on this day, I had a handful of people looking on at various points when I glanced back over my shoulder. Some of them would quickly glance away and start walking, likely pretending that they weren't that interested in what I was doing. Many, though, gave me a smile or an occasional wave -- the kind that you know they are chuckling in their heads at the crazy guy sitting in the mud! I spent Sunday morning hiking around Tennessee Valley, hoping to have a chance to photography a bobcat or coyote. I did see a bobcat, although it was quite far away and in an unreachable meadow. The fog stayed around much heavier than the forecast called for, and I left the park with just a few shots on my memory card of some deer. On a whim, I decided to stop at Bothin Marsh (under the Highway 101 overpass, where it meets with CA-1) to look for birds. The light was awful, the fog was heavy, but the birds were there! 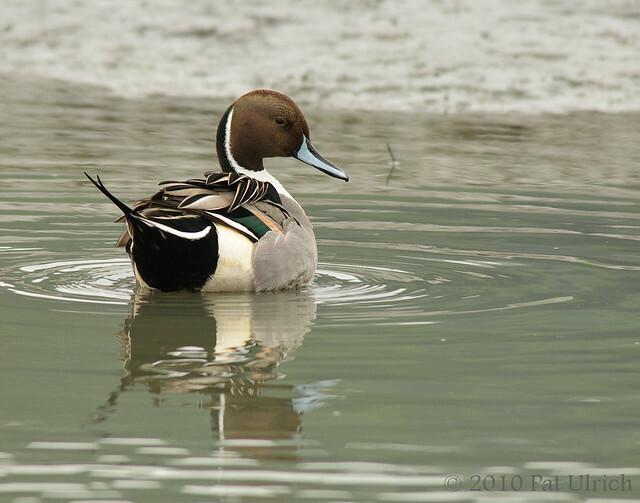 This is an awesome time of year to check out the marsh, which is a very heavily used stretch of Bay Trail, since the Northern Pintails are out in full force. They winter in this marsh, and on a previous visit here a polite birder that I chatted with there told me that it actually serves as a lek (ie, where the females pick a mate for the coming year). 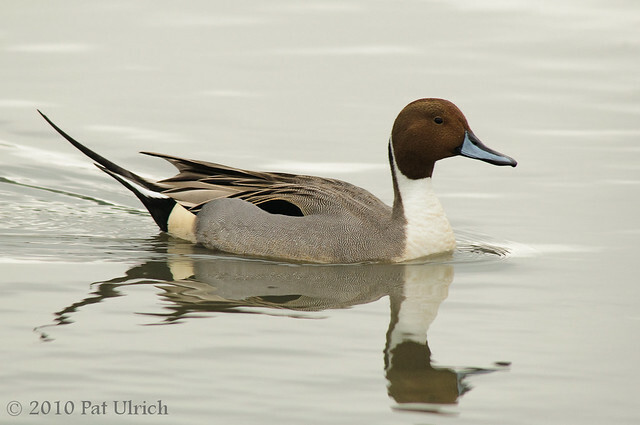 That certainly seems to be the case, since the males are constantly preening and trying to look their best, and very often a group of them will follow around a single female. So even with the poor light, I took a ton of shots of these elegant ducks, since its not often you get a chance to be so close to them! Shared as part of the World Bird Wednesday meme -- follow this link to check out the other entries for the week!